We here at Apogee are a huge fan of games. Camp games, card games, frisbee games, thinking games… You name it! As such, we thought it appropriate to dedicate today’s blog to a game that many of us played as children. Read on to play along (and bring your best glasses). 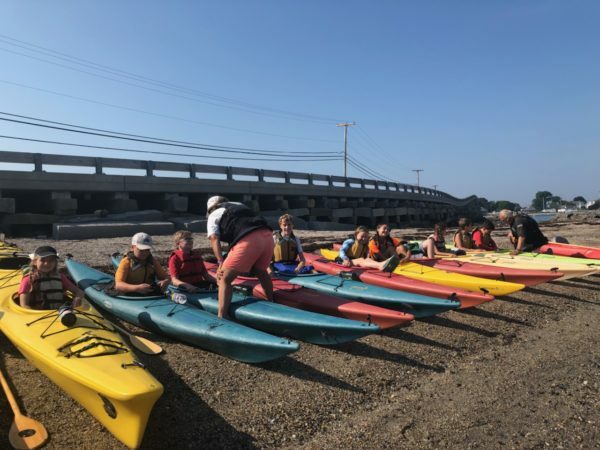 Our MCJA kiddos got to go sea kayaking this morning. 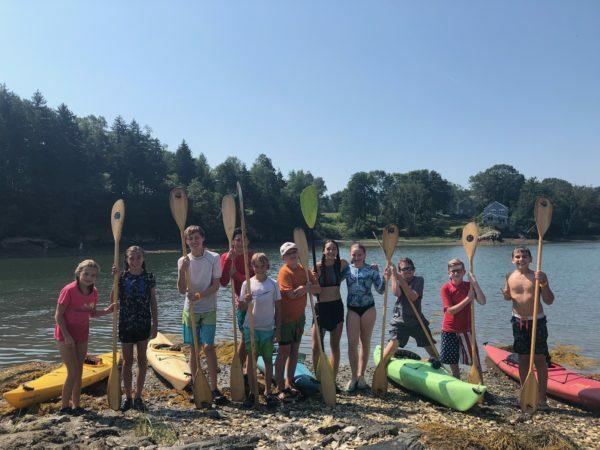 After docking their boats, this great group of girls and boys headed up to Acadia National Park, one of Maine’s most prized treasures. 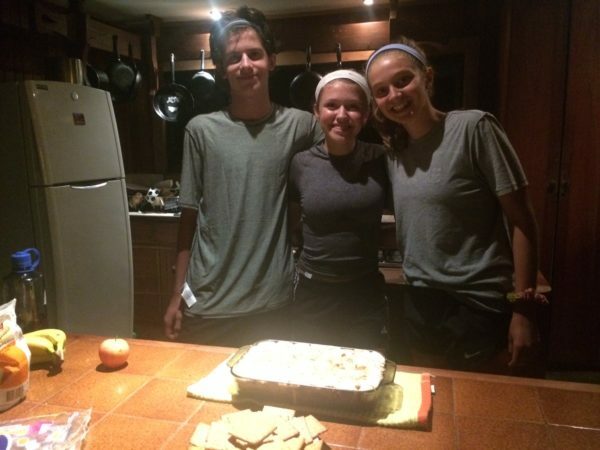 After a day hike in the park, they enjoyed a great dinner as they prepared for a new day tomorrow! MCJB enjoyed their first full day on trip together as they made their way up to Acadia National Park. Once they got there, the group completed a short but challenging day hike and enjoyed the surreal panorama of one of Maine’s crown jewels. We can’t wait to see photos! I spy with my little eyes a bird, flying high in the sky! 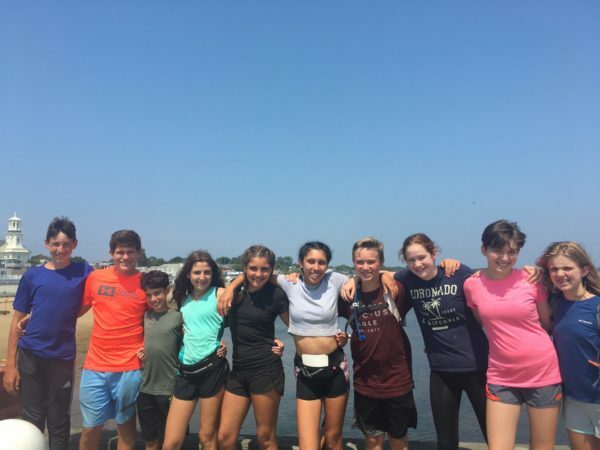 CI enjoyed a pleasant morning exploring Provincetown before taking a ferry to Boston, where they completed a short 2-mile bike ride. Their ride took them all the way to their hostel, which will be their new home base while they explore Boston tomorrow! I spy with my little eyes a Tip Top House (and a Tip Top Team, at that)! The New England Mountains and Coast team enjoyed another day in the White Mountains, where they embarked on a day hike up Mount Washington, the highest mountain in the Whites! Great job, kiddos! I spy with my little eyes some D’ Frozz and a wild horse. Today, CS got to go snorkeling just off the white sand beaches of Vieques. 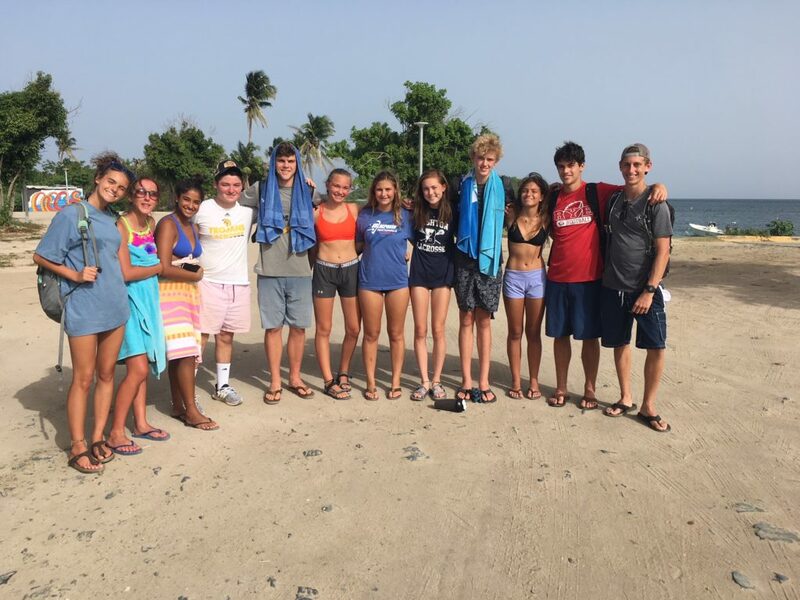 They then spent the afternoon on a self-directed service adventure, helping restore Vieques’s beaches to their natural beauty after hurricane Maria. The group also had some fun exploring Esperanza! Leader Nicole reports, “There are tons of wild horses here.” (Photographic evidence below). 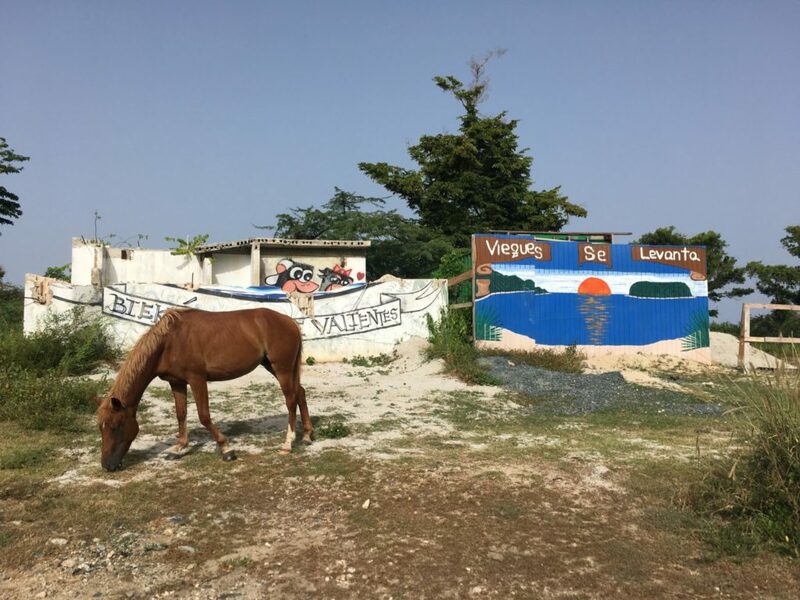 “Vieques se levanta” refers to the island rising up after the hurricane. I spy with my little eyes two pairs of sunglasses, three snapbacks, and one blue paddle! 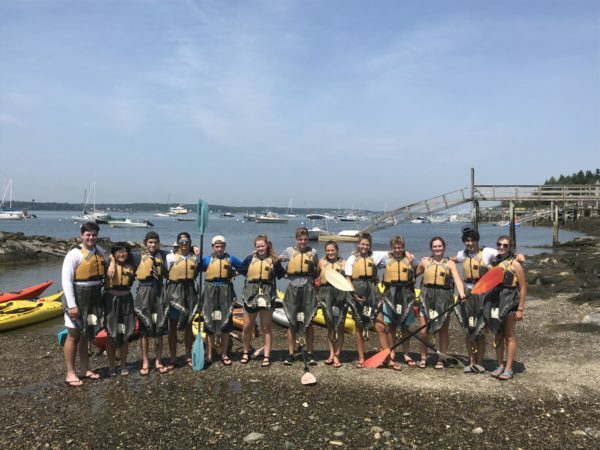 Our prolific and thriving Maine Coast College Essay writers took a breather this afternoon on the salty bay waters surrounding Orr’s Island. 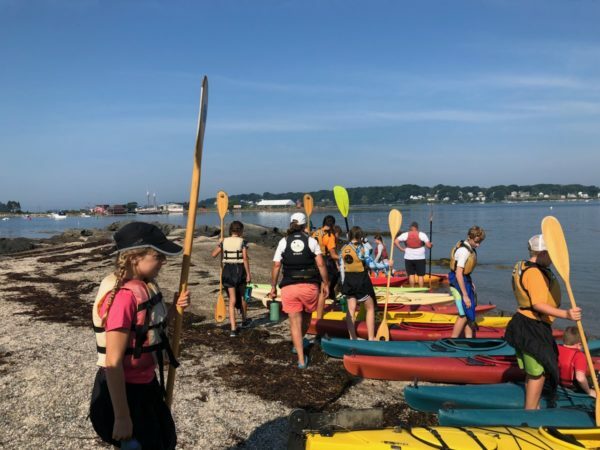 It sounds like they had a great day; as we heard from a MCCE kayaktivist, “Look at all those shiny faces. Had a great day on the water followed by a picnic dinner at the Giant’s Steps on Orr’s Island.” Sounds lovely to me! 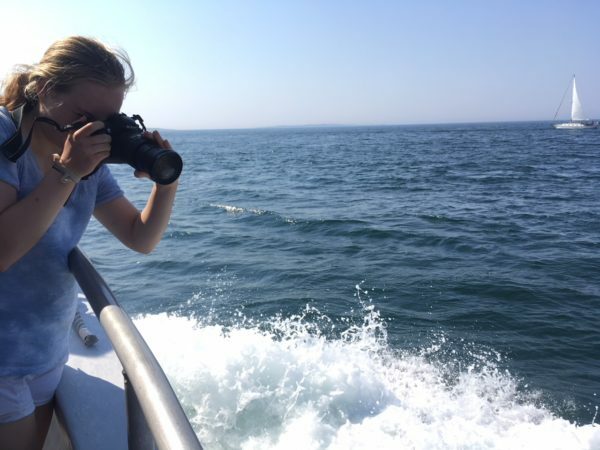 The Maine Coast Photo crew woke up early this morning to catch the sunrise and take advantage of some beautiful morning light. 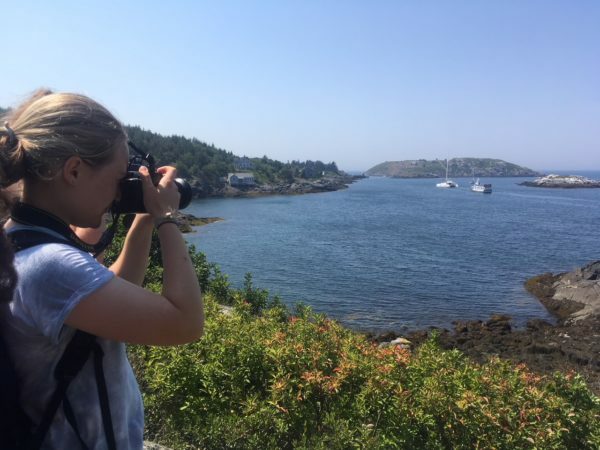 The group reports, “Voyaged by ferry 10 miles offshore to Monhegan Island for a day of hiking and island photography with Jamie, who is teaching the group about landscape photography. Views couldn’t be sweeter, and as Laura says, ‘nothing can choke our stoke! '” They later shifted their focus, trading cameras for keyboards as they edited photos they’ve taken so far. Sunset brought another opportunity for these photographers to finesse their natural lighting and landscape photography techniques. Keep capturing those stunning moments, crew! I spy with my little eyes a straw basket, three bottles of condiments, a pitcher of water, and a colorful plate of farm-fresh veggies! 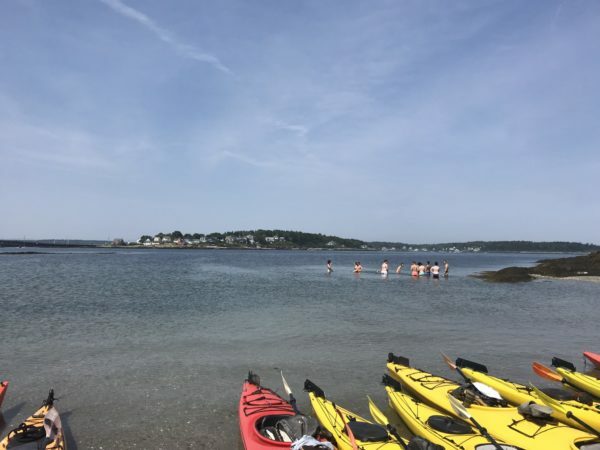 The culinary Maine Farm to Table group took a break from their morning of farmwork and opted for a swim in Maine’s refreshing waters. 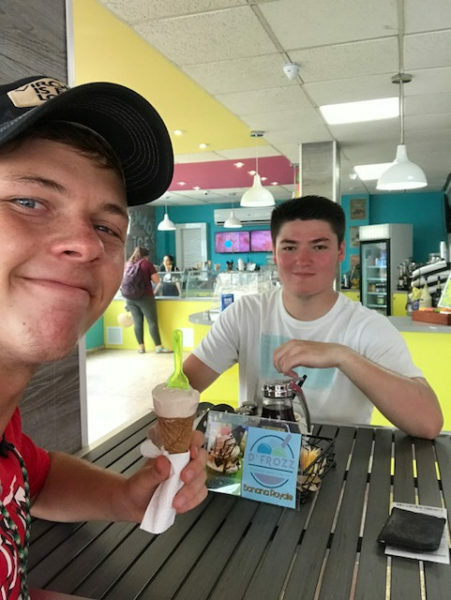 They topped off their afternoon cool-down with some ice cream in town – what a treat! They returned home to prepare a nice dinner together. 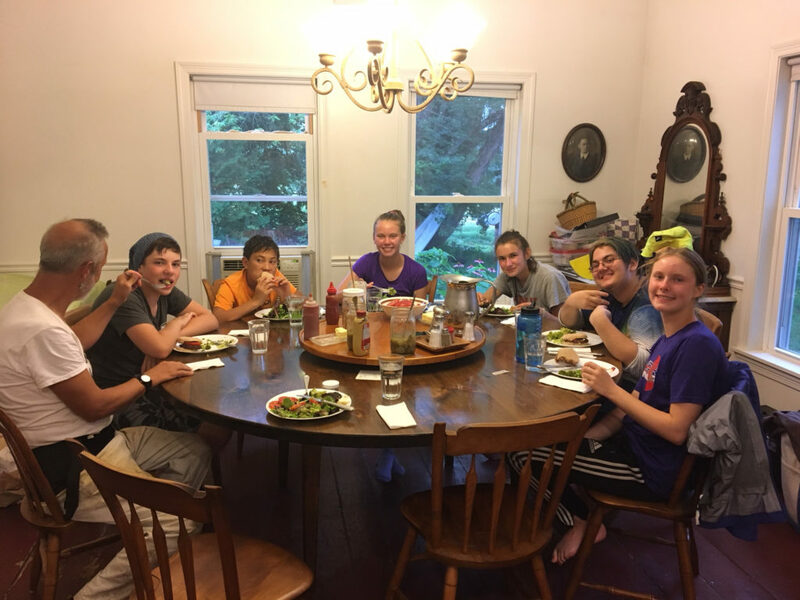 One might say that this group has been (literally) reaping the fruits of their labor; they’ve been enjoying farm-fresh veggies and learning about how the stuff we eat makes its way to our plates! Great job, MFT! DEXA drove up from scenic Acadia National Park to the more secluded Baxter State Park in Northern Maine. They’ve embarked on their backcountry journey – we can’t wait to see what adventures await! 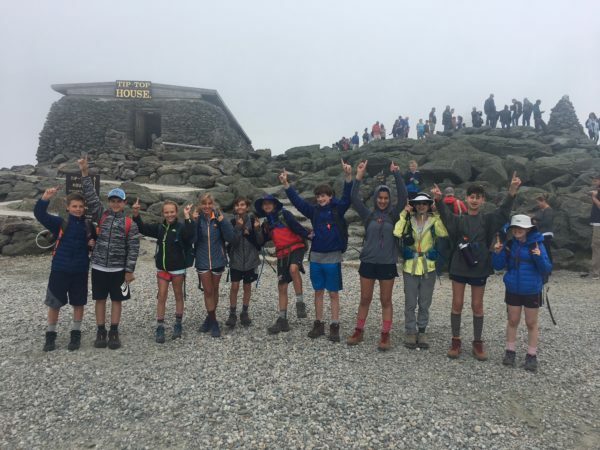 DEXB hit a rough patch of weather today on their way to summit Mount Katahdin, the tallest mountain in Maine! 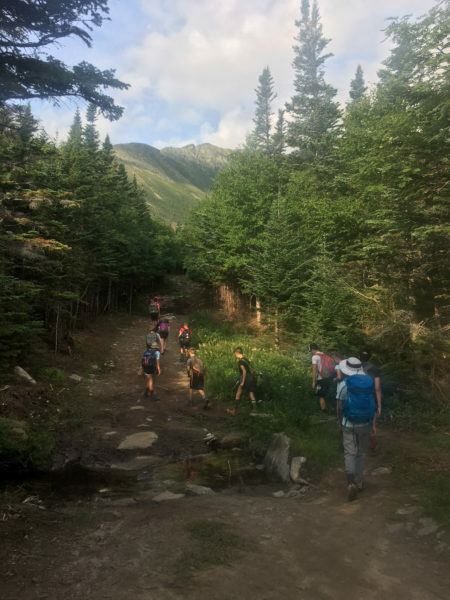 Despite oncoming adverse conditions, the group trekked all the way to Chimney Pond, a beautiful little body of water at the foot of Katahdin, before turning around and heading back to the safety and shelter of camp. We can’t wait to see photos from their hike. Great work, team! 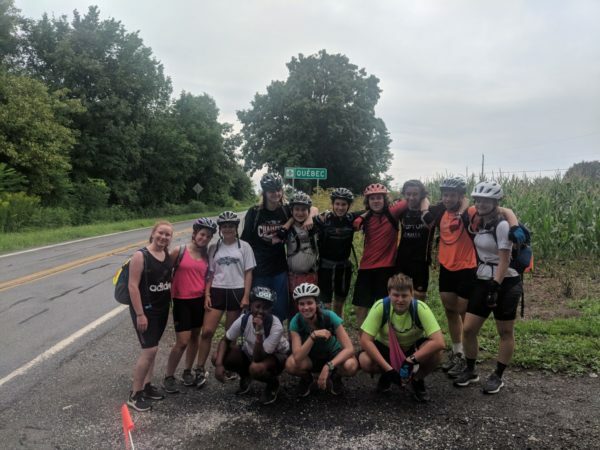 VMA got to enjoy their first full day in Canada today as they biked through the rural cornfields of southern Quebec on their way to the suburbs of Montreal. 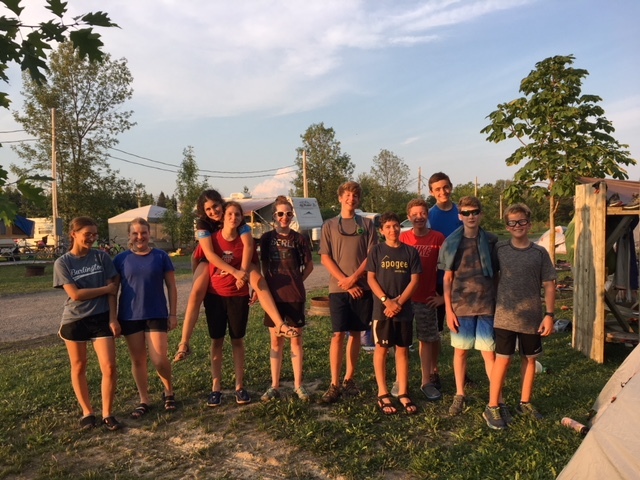 The group got to pass through a quaint Quebecois town on their way to their reportedly huge campground, which we hear is equipped with pool, BMX tracks, and a massive water slide! Spot the difference! (We found 17)! 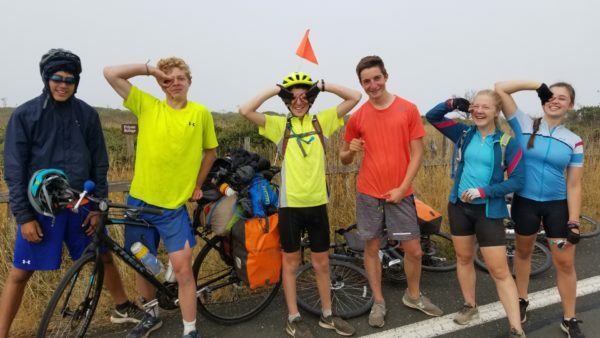 VMB crossed an international border on what has been the longest ride of their trip so far (33 miles). 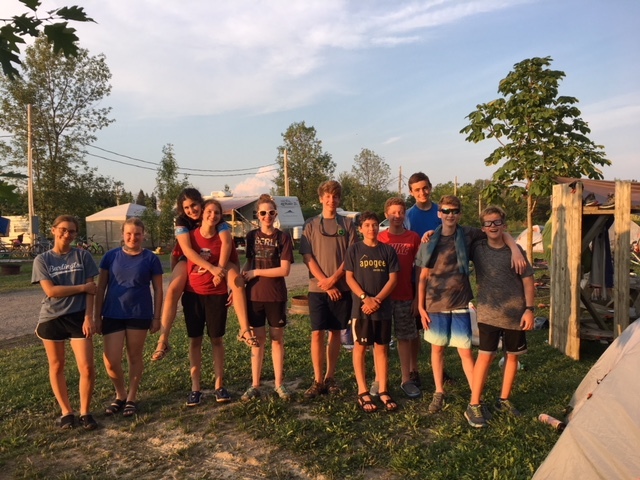 As these kiddos moved north up Grand Isle and off of Lake Champlain, they said goodbye to the USA and bonjour to rural Quebec. Great job, kids! I spy with my little eyes four headbands, two scrunchies, one inside-out shirt, and some mighty fine salsas. The aspiring (and quite frankly, inspiring) bilingual kiddos on our Costa Rica Language and Service trip spent the morning improving their grammar, vocabulary, and knowledge of sentence structure. They then completed an afternoon of community service before taking a Salsa lesson in the evening – what a day! Watch out – these kids have got some suave moves! 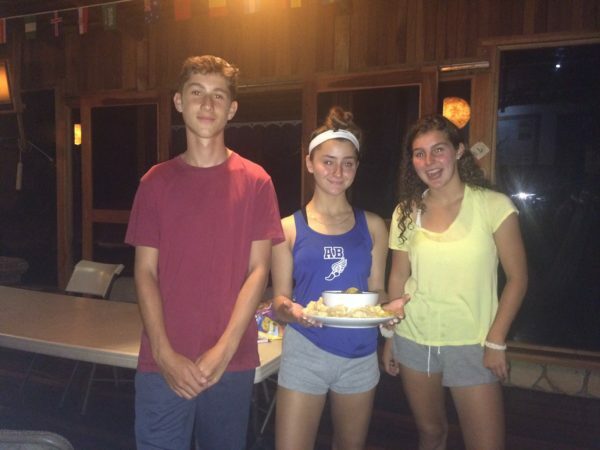 Speaking of salsa, this group fired up some friendly competition in the evening and held an Iron Chef style salsa-making cookout! Can you spot the winners? CRMC woke yet again to gentle golden rays of sunshine beaming through the windows of their magical ecolodge in the rainforest. This morning, they spent some time performing community service with their ecolodge. They cooled off in the afternoon with a quick, refreshing swim surrounded by a soundscape of chirping birds, rushing waterfalls, and roaring rivers. 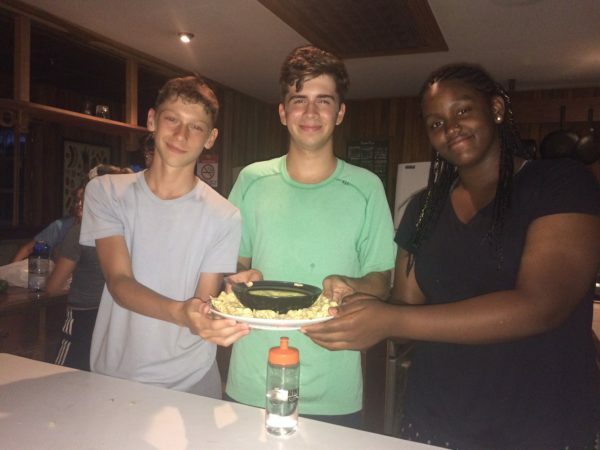 In the evening, the group embarked on a night hike with their ecolodge hosts to catch a glimpse of the nocturnal wildlife indigenous to the area. What a day! CMCA spent their last full day unplugged from the real world as they continued on their backcountry adventure. We can’t wait to see where their adventures took them once they’re back in the front country! CMCB enjoyed their last full day in the backcountry today, as they lugged food, gear, and clothing through the California wilderness. Enjoy being off-the-grid while you still can, CMCB, and relish the fact that the weight on your shoulders is just your full backpack and nothing more. I spy with my little eyes an island, a sailboat, and five hats on happy heads. 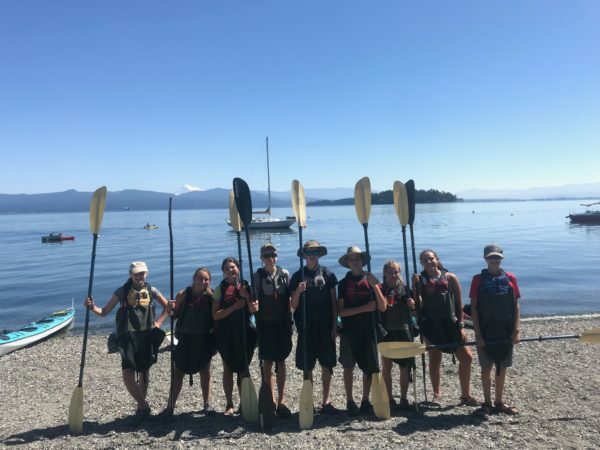 After recharging on a rest day yesterday, NWXA embarked on a whole new adventure by heading to the coast to start their three-day, two-night sea kayaking and island camping expedition. Keep enjoying the remarkable beauty of the Northwest, NWXers! NWXB enjoyed yet another day in the freedom of the backcountry. 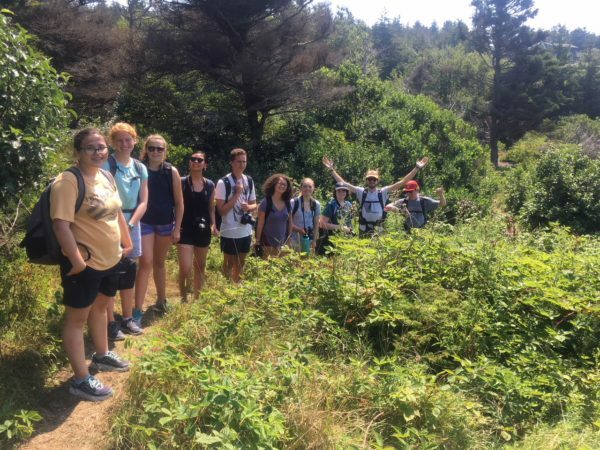 The group is enjoying becoming one with nature and hiking in the wilderness of Olympic National Park. We can’t wait to see pictures from their adventures when they return to civilization! I spy with my little eyes the beaming CA sun and the great blue Pacific! PCA rode through some gorgeous terrain today, peppered with lightly rolling hills. This squad got to enjoy living in the moment as they took in the stunning scenery on their way to camp. Keep pushing on, PCA – San Francisco isn’t far away! I spy with my little eyes six bike wheels and a sneaky wooden sign. PCB cruised like nobody’s business over 50 miles in what was a relatively easy day of riding for these fit kids. 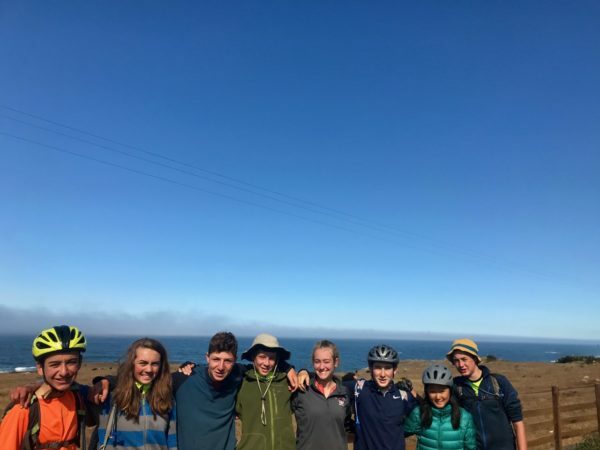 Although they hit a few steep climbs, the hills were were short and sweet, and our riders easily crested them before reaching their scenic campsite, where they will enjoy yet another beautiful sunset over the Pacific. I spy with my little eyes four Crocs and eighteen weary legs. 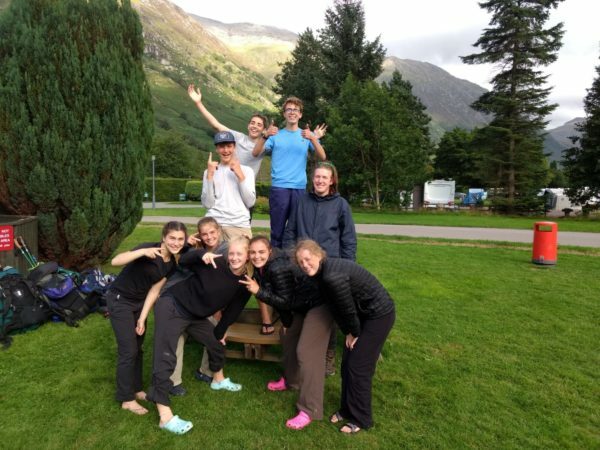 Our Scottish Highlanders completed their final, most challenging day of hiking as they took on a whopping 13.5 miles today on their way to Glen Nevis (that’s a half marathon, folks). As they took on the gorgeous (and mostly downhill) hike, they reflected on the incredible accomplishment that is the West Highland Way. Congratulations SH, and enjoy giving your legs a break! Another border crossing for AXA today! 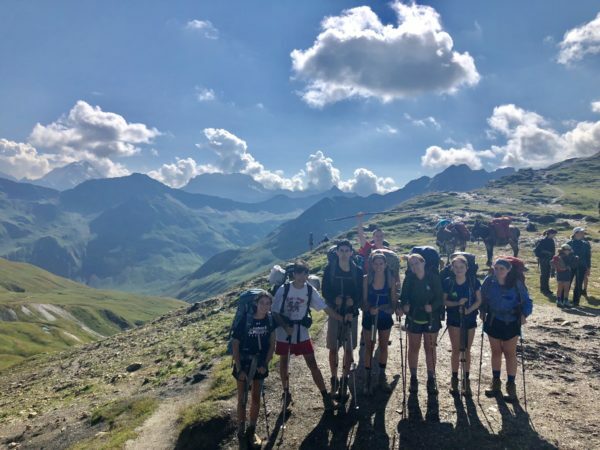 A short, steep walk up to Col de Grande Ferret took them to the Swiss border and some amazing views over the terrain they’ve covered the past few days. 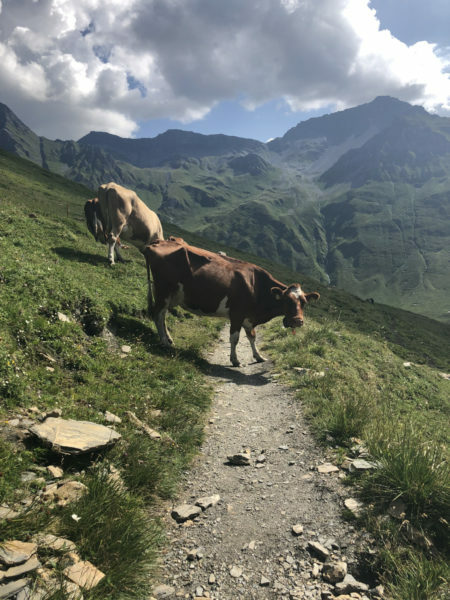 The Swiss side of Val Ferret featured a bonanza of flowering meadows, glacial streams, and wooded hamlets – it was, in other words, a quintessential idyllic Swiss valley! Nonetheless, the sheer cliffs on the Italian side of the valley take the cake as far as views go (I think so, at least). 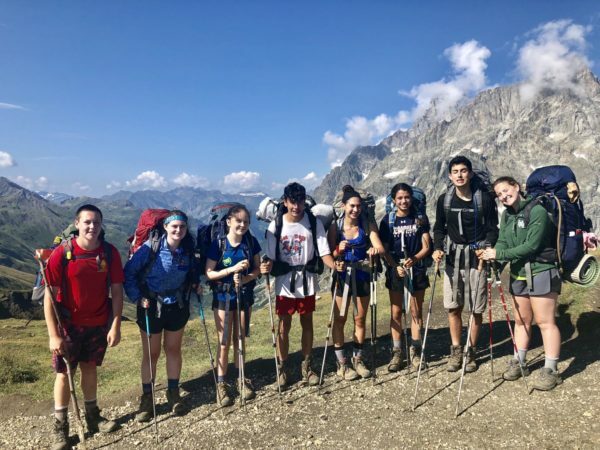 We woke up feeling rested after our deep slumbers in Refugio Elena and prepared to make our final ascent in Italy before crossing over to the motherland of Switzerland. 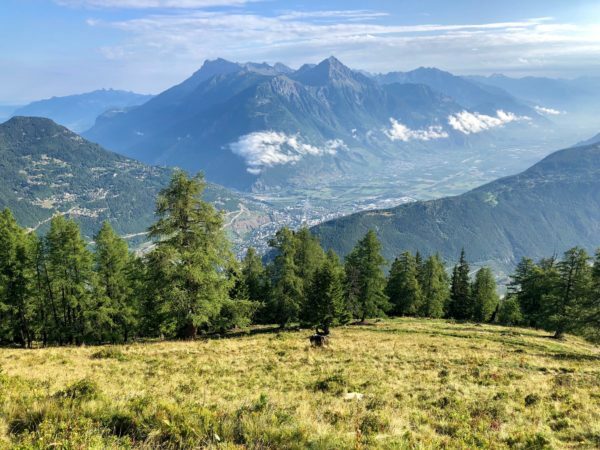 We hopped back and forth between Italy and Switzerland for a bit and then waved Italy goodbye, saying thank you for all the views, food, kind people, and stronger muscles it gave to us. A lunch of cured meats, goat cheese, baguettes, and balsamic reduction fueled us to arrive at camp early enough to bounce on a trampoline, nap while listening to some soft tunes, and make a bomb dinner of tortellini. 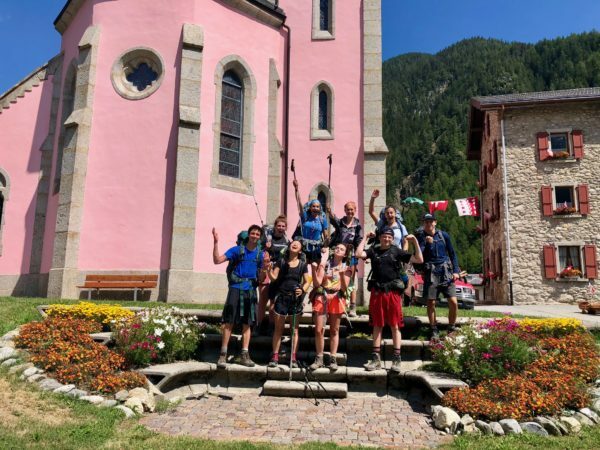 AXB officially finished the last section of the Tour de Mont Blanc today as they hiked into the small alpine town of Bovine. The group took on some strenuous hiking this morning as they basked in feelings of accomplishment. In the afternoon, the group transferred to Martigny, where they will begin the final section of their trip. 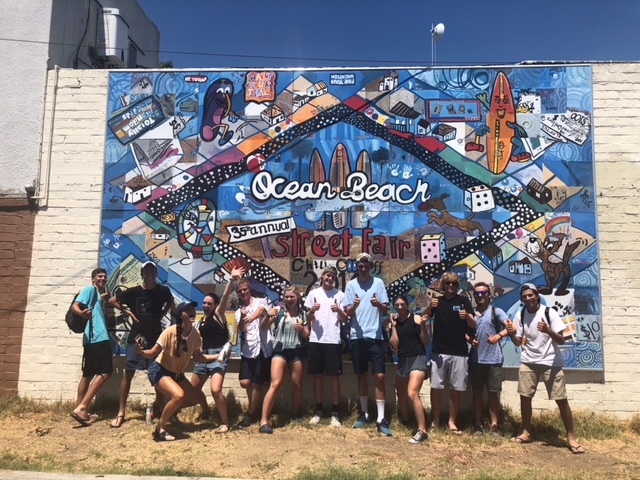 ACC1 enjoyed one of the most well-deserved rest days in the history of rest days today as they spent their last full day together in San Diego. Though they are busy making travel preparations for tomorrow, our heroic kiddos are taking in what is sure to be a surreal feeling of accomplishment. Great job, ACC. Enjoy the time off your bikes! 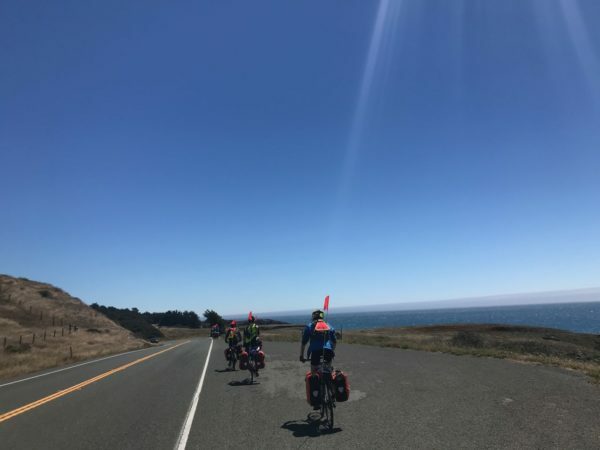 The ACC2 team was joined by Apogee Founder and Director Kevin Cashman for some extra motivation and encouragement on their penultimate day of riding. You all are right at the doorstep! Get some good sleep tonight, carb up in preparation for tomorrow, and think about the fact that tomorrow is your FINAL DAY of riding. I’m getting shivers over here just thinking about it. Way to crush it! Kevin! Are you alright? … Looks like keeping up with these notorious ACC2 speedsters really took it out of him!